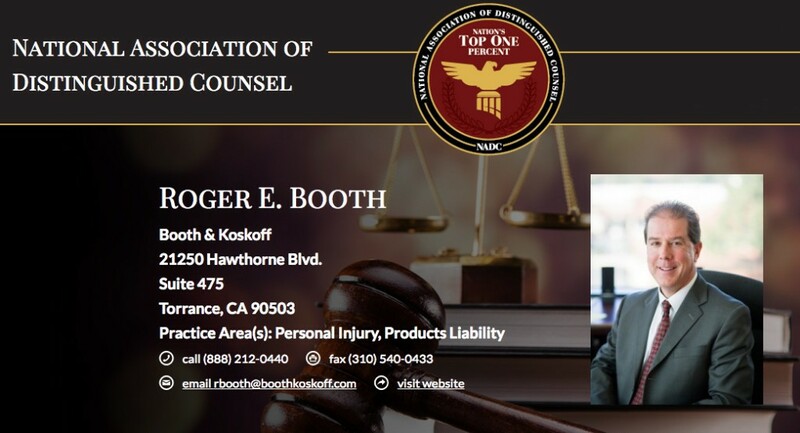 We are proud to announce that Roger Booth has been selected to the National Association of Distinguished Counsel for 2015. The list consists of the top 1% of practicing attorneys in the United States. The attorneys come from all types of legal practice, including personal injury, and are vetted and approved by a research team and blue ribbon panel. You can find more information about Roger on the NADC website.